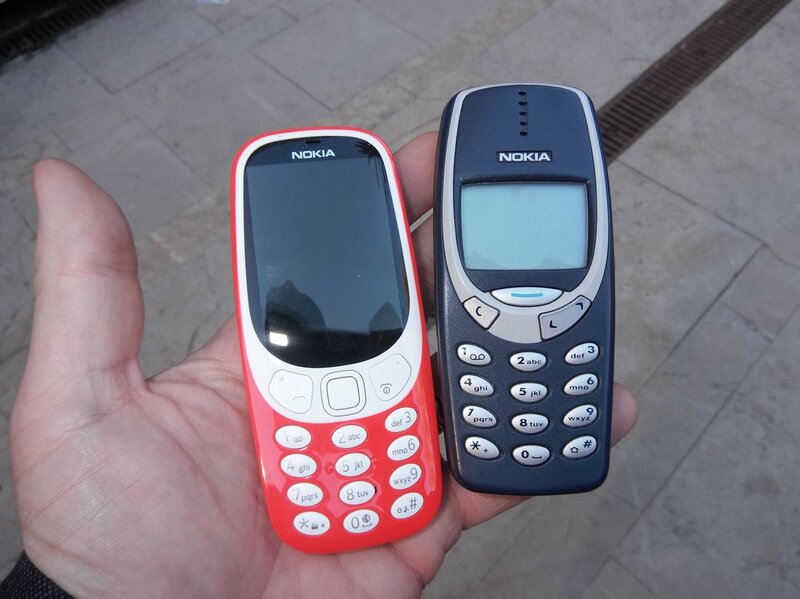 In MWC (World Mobile Congress) 2017 conference, Nokia announced the new 3310 models, which is 17 years later. 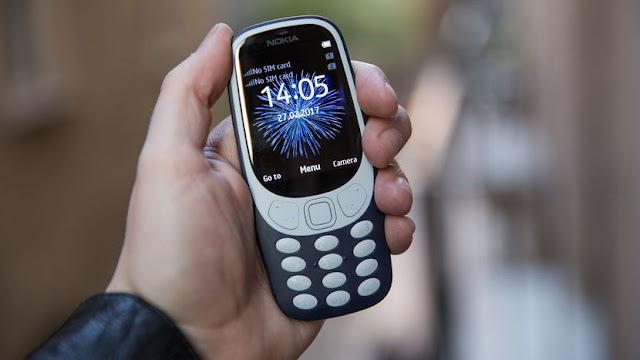 Nokia will be releasing new products under the name Nokia 3310 (2017) that there is support for a wide variety of components and also other exciting features. What happens when objects of the past rather than 17 years ago reappear? A Million Memories will come back! The Nokia 3310 will go on sale in the first quarter 2017. Nokia 3310 (2017) provide support only 2G GSM network, and there is a dual SIM by applying the SIM 1 and SIM 2 on the network. 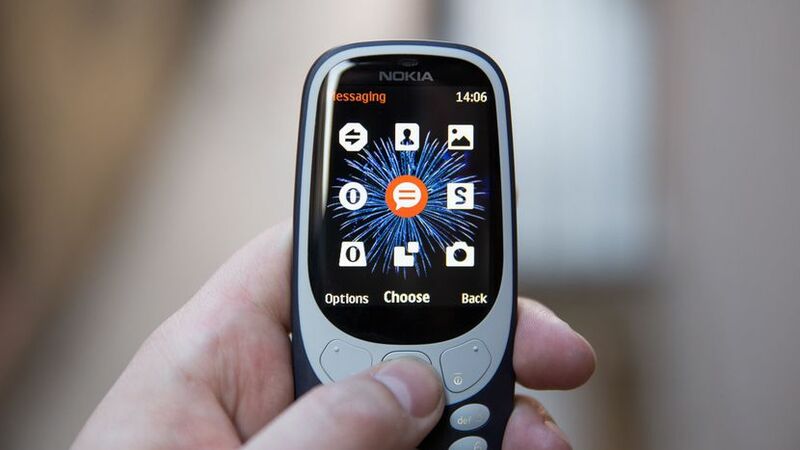 Pity Nokia 3310 (2017) does not support the completeness of other networks such as 3G and 4G. 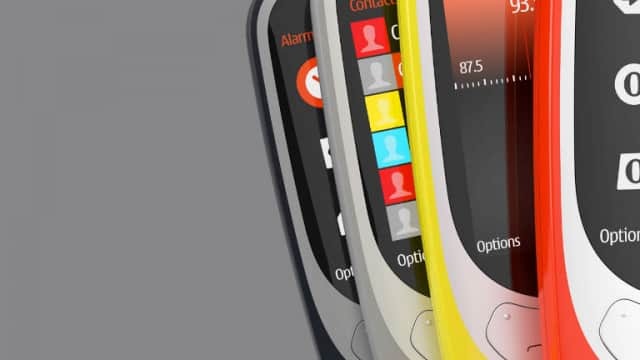 The new Nokia 3310 will be equipped with a 2.4-inch curved screen, powered by 2 million pixels with LED flash rear camera. Models will have a single SIM card and dual SIM card two versions, but the phone only supports 2G network that can only call and send and receive text messages. 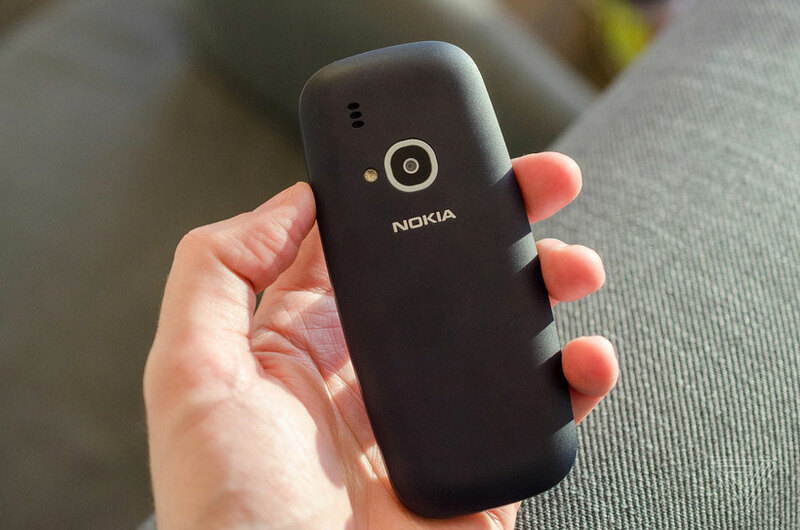 Besides, the new 3310 will be built-in FM radio and MP3 player, the phone comes with 16MB storage space, but the phone can support up to 32GB Micro SD memory card. The new 3310 is currently priced at 49 euros (about 3455 INR), for those who want to review the classic Nokia models is a good choice. Detailed Review of Nokia 3310! Dimensions are applied in mobile phone Nokia 3310 (2017) gives the size of 115.6 x 51 x 12.8 mm. This phone supports Single SIM with the size of Mini-Sim and Dual SIM with a more optimal. As for the more optimal Flashlight provide higher quality results. Screen mode on the Nokia 3310 (2017) provides the most minimal support for the TFT type display type. The screen size is quite small at 2.4 inches and provides body and screen ratios with the percentage of 30.3%. While for the screen resolution on the Nokia 3310 (2017) apply a size of 240 x 320 pixels and there is support for the display density of 167 PPI pixel with the backing of sufficient quality. The external memory implemented in Nokia 3310 (2017) provides 32GB MicroSD support and support has been optimised by applying a lot of data. Also, the phonebook carried out in the Nokia 3310 (2017) be limited to 2000 contacts and can be used for call records. Provide support to the internal memory of 16 MB colour more qualified for the storage of various applications deployed in this phone. Although this phone only has a more modest specs but is already implementing resolution 2MP rear camera with LED flash and provides features. Video applied in this phone is pretty standard with mobile phones in general, using the resolution. Nokia 3310 (2017) does not support the selfie camera or front camera. The sound in the Nokia 3310 (2017) like any other phone that is composed of Vibration, MP3 ringtones, Loudspeaker and 3.5mm Jack the higher quality. 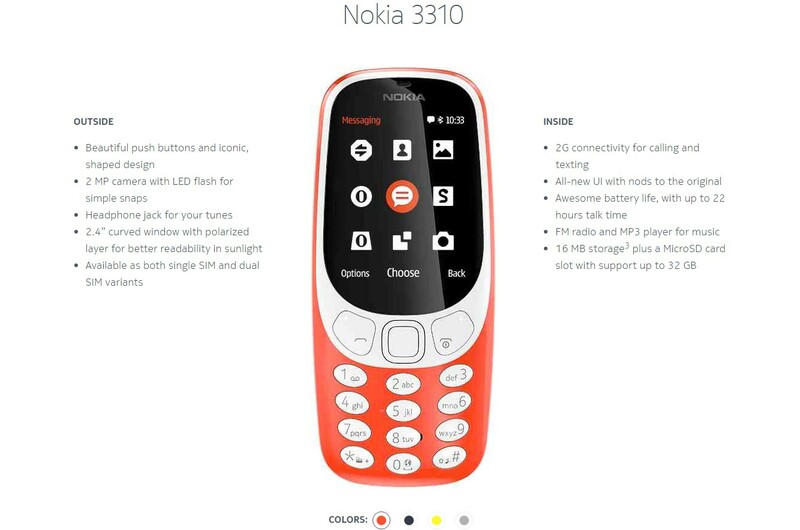 Nokia 3310 (2017) does not support WIFI, but there is Bluetooth Version 3.0, A2DP and MicroUSB are version 2.0 for data transfer in the phone. While GPS also does not support smartphones, there is support for FM Radio, and Radio can give more information on the events of each region. Includes – Classic Nokia Ringtone! Sending a message using a Nokia 3310 (2017) can only be via SMS only, and the browser still has the support of WAP 2.0 / XHTML very minimal. 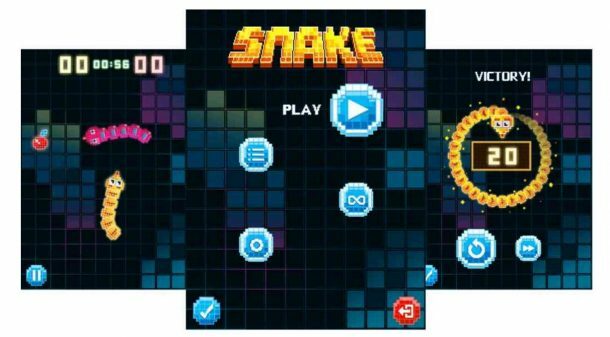 Coming to Games, it has a classic “Snake” game. Includes other two games! The Capacity of the Battery – Removable support Li-Ion 1200 mAh though quite minimal but can be used on a standby time of approximately 744 hours, talk time of 22 hours and 51 hours of music players. As for the dual SIM uses the same battery capacity, but the resilience of the stand-by approximately 600 hours and a talk time of 22 hours. Colors variants Nokia 3310 (2017) consists of Warm Red (Glossy), Yellow (Glossy), Grey (Matte), Dark Black (Matte). Price – Nokia 3310 (2017) cost approximately 50 EUR or equivalent to 3455 INR. And likely every country will have different standards of the selling price.